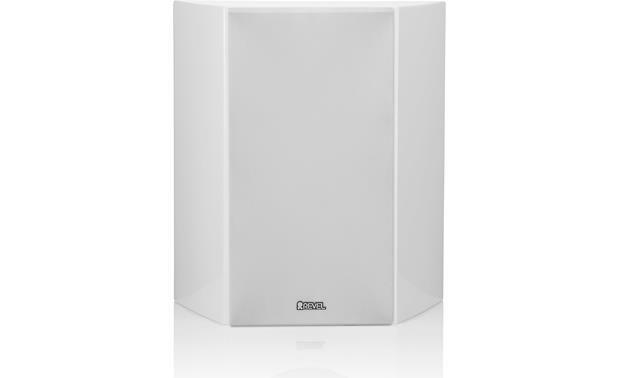 The S16 is the can-do utility player in Revel's Concerta2 speaker family. 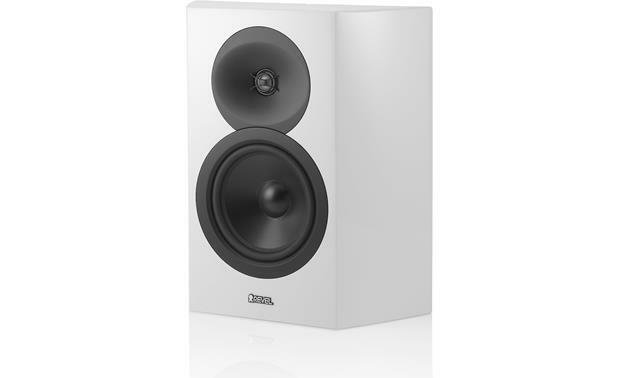 The S16 is the can-do utility player in Revel's Concerta2 speaker family. This compact 2-way design delivers clear, spacious sound whether placed on stands or a bookshelf, or mounted on the wall. 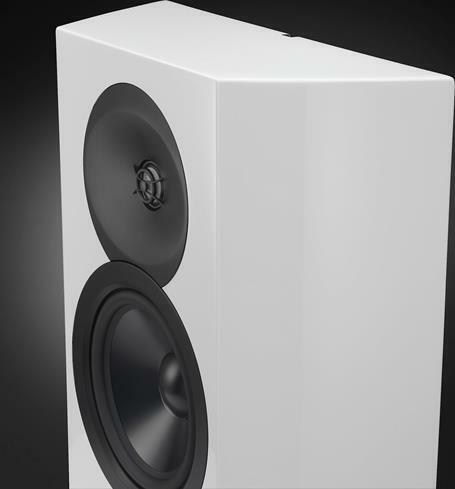 The S16's unusual shape and shallow depth offer versatile placement options, including wall-mounting (shown in High Gloss White). A true multi-purpose speaker, the S16 performs admirably in the role of front LCR and/or as a side/rear surround sound speaker. With S16s all around you'll experience a realistic, enveloping surround sound environment. Revel designs and builds every driver that goes into their speakers. The S16's 6-1/2" woofer uses an aluminum cone that's coated on both sides with a micro-ceramic composite compound. This stiffens the cone to help it move in a more piston-like fashion, and also reduces resonances that can color the sound. The S16's 1" aluminum dome tweeter sits in Revel's concave Acoustic Lens waveguide, which increases the tweeter's dispersion at higher frequencies, and also helps create a more seamless match between the tweeter and the woofer just below it. The result is very smooth, consistent sound both on-axis and off-axis, creating a larger sweet spot. Two-Way, On-Wall Loudspeaker: The Revel by Harman Concerta2 S16 on-wall, two-way loudspeaker delivers an impressive combination of wide frequency range, uncompressed dynamic range, and low distortion across the entire audible spectrum. 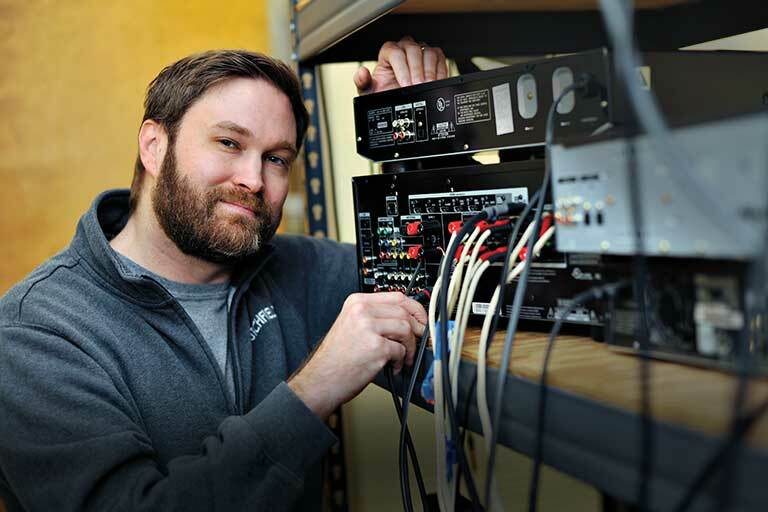 Revel engineers utilize state-of-the-art computer modeling tools during driver design to optimize everything that affects performance. Laser-based analysis of the resulting prototypes confirms ideal symmetry, which results in lowered distortion and cleaner sound quality. 1" Aluminum Dome Tweeter w/ Acoustic Lens Waveguide : The Concerta2 S16 is equipped with a 1" aluminum dome tweeter with an Acoustic Lens Waveguide. This patented 4th generation Acoustic Lens Waveguide design improves tweeter to woofer blend and significantly improves off-axis response for consistent performance over a wide listening area. Unlike previous waveguide designs, this new Acoustic Lens Waveguide design actually increases dispersion at the highest frequencies, when compared to conventional tweeters. The result is a noticeably improved sense of air and detail, contributing to greater musical enjoyment. 6.5" Anodized Aluminum Woofer: The S16 on-wall, two-way loudspeaker also houses a 6.5" anodized aluminum cone woofer with rubber surround which offers ideal piston-like performance, eliminating resonances that would otherwise color the sound. By repositioning the voice coil in the woofer, Revel engineers discovered they could improve the symmetry of the woofer displacement and thereby lower distortion. They also adjusted the woofer's spider progression to greatly improve the woofer's linearity, and as a result - lowered distortion. High Order Crossover Network: The Concerta2 S16's high order crossover network features carefully-selected components that contribute to its great performance. The high order crossover network blends the tweeter and woofer together for a smooth, natural sound. This advanced crossover network also dramatically reduces distortion and dynamic compression for clear sound that maintains the same quality over a very wide dynamic range. In addition, this precision crossover network optimizes the speaker's timbral accuracy, enhancing musical enjoyment for listeners who are anywhere in the room, not only those seated on-axis to the loudspeakers. Rigid, Curved Enclosure: The Concerta2 S16 speaker enclosure is not only beautiful, but also rigid, with curved 1"-thick side walls and extensive internal bracing that result in a strong and inert enclosure. This ensures that the enclosure does not contribute coloration to the sound. A cloth magnetic grille eliminates unattractive hardware on the baffle and also minimizes diffraction and veiling. 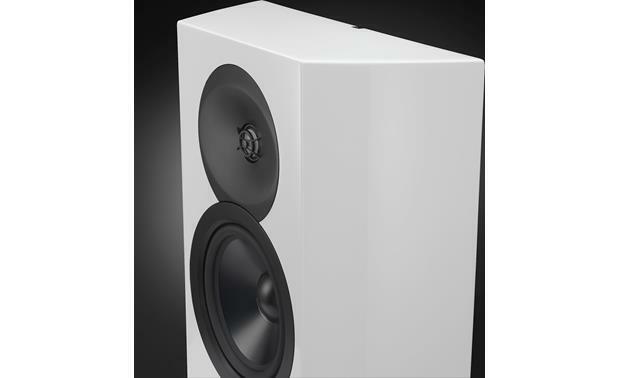 The speaker enclosure is available in a high gloss black or white finish. 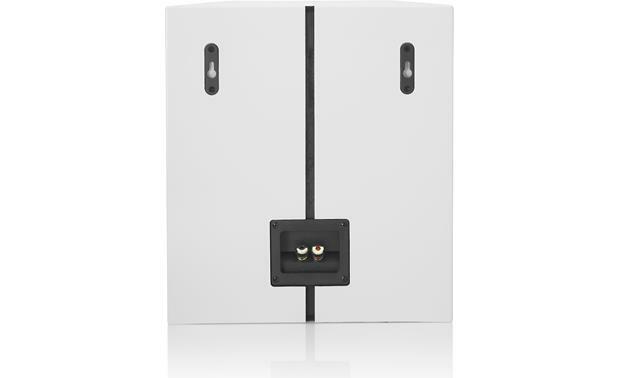 Binding Post Terminals: The S16 on-wall speaker features gold-plated binding-posts that provide secure connection for speaker cables terminated with banana plugs (single or dual), spade-lugs, pin-connectors, or bare wire (up to 10AWG). You will need to remove the binding post's rubber inserts in order to use banana plugs. Wall-Mount Bracket: Built-in mounting keyholes on the rear of the S16 loudspeaker are designed to be used with the supplied wall-mount bracket (mounting screws not included). When used as a Surround or Surround Back speaker, the ideal mounting height is located at 10° to 15° above the primary listener's ears. The loudspeaker's radiation pattern is optimized for use at 90° to the sides of the primary listening area, or placed directly behind the main listening area when being used as a Surround or Surround Back speaker. Applications: By truly being a multi-use speaker the S16 is capable of acting as a LCR, Surround, or Surround Back speaker depending on your specific home theater setup. Searches related to the Revel Concerta2 S16 Multi-purpose speaker.